Note that the male/female split for 1971 is estimated. 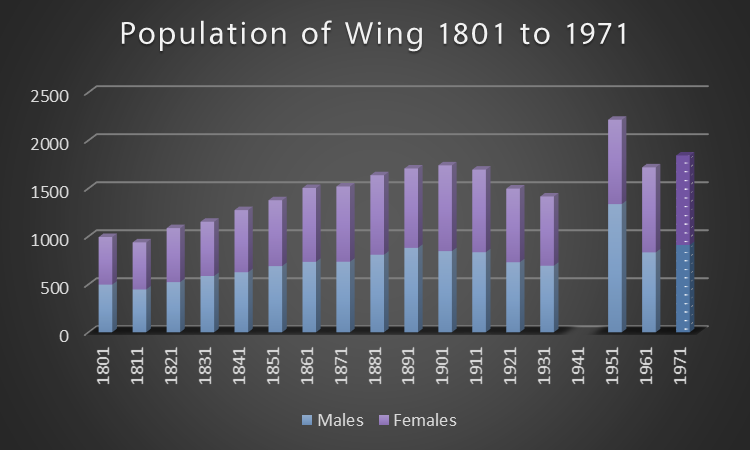 The population increase in 1951 equates to an additional 500 males with no increase in females – perhaps an Army or Scout event was taking place in Wing or at Ascott over census weekend? The remainder will be transcribed in due course, however they are not currently a priority as census images and transcriptions are widely available on commercial websites and I’d rather focus on less-easily-accessible items.